Despite the negative connotations attached to “rogue”; a rogue typically breaks out of the norm while possessing an attractive quality, the word grew on us. That is exactly the ethos of Men’s Folio – striving to elevate men’s fashion in Singapore, yet retaining our accessibility. One will notice that an oddity of the fashion in our book is the occasional appearance of suits because dressing up for a man can be so much more fun than that. The refreshed trends for the new season have been playfully put together on page 42 to prove just that. With the democratisation of fashion in the last decade, a dearth of originality has constantly come up as an issue, and it is a challenge for many storied brands to pique the interest of the new generation. Rogue collaborations between high-end brands and street labels have become the new normal, and the purpose of this is questioned on page 76. One can argue that a rogue is only so because he is wildly passionate about what he believes in, and together with Tissot, we salute a group of individuals dubbed “the unusual suspects” (page 78) who chose to leave their comfort zone to pursue their passions. However, living apart from the herd can often make you feel alone and desperate for someone who understands you. The issue of mental health is addressed on page 74 in the wake of the loss of many fashion luminaries over the past years. In conclusion, rogues are people too, and they deserve to be loved. 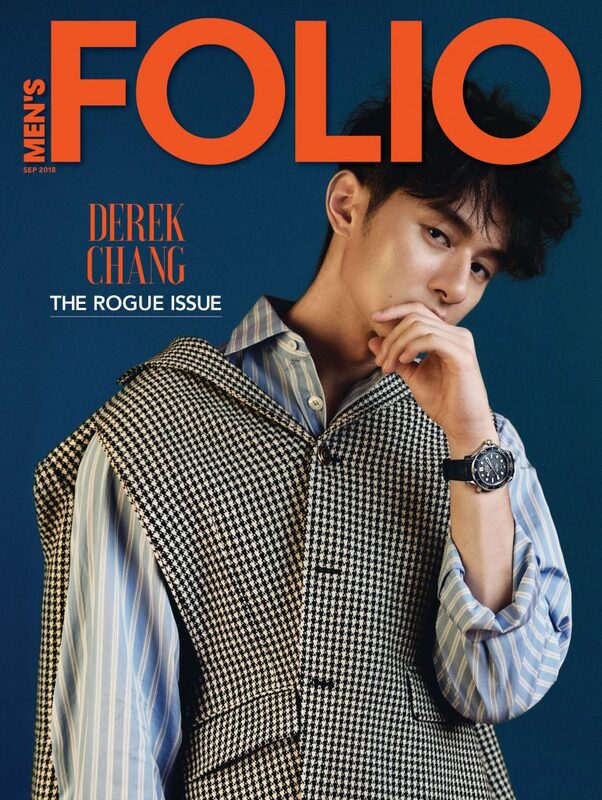 Our rogue cover star this month is Derek Chang, whose encounter with a life and death situation (he donated his liver to save his sick father three years ago) sets him apart from the gaggle of boyishly good-looking actors today. Read on to find out why this charming rascal is brimming with positivity in all aspects of his life on page 84, and fall in love with him (and us) will you? Also, stay tuned to our social media as we unveil details to our 21st birthday celebrations – it is the age of de(reason) so we are going dark, real dark. But first, mark Tuesday, 23 Oct evening on your calendar, we promise it would be an unforgettable night.